Anyway, I wasn’t home- I was in Woodstock– land of the hippies, rock-n-roll, liberalism and now VEGANISM! Well, I think so anyway. I visited a new juice bar there, PRESS + BLEND, which survived the winter months so it must be good! I ordered a smoothie- “PULP FRICTION” to be exact and I couldn’t resist the ACAI BERRY CHEESECAKE– vegan of course! The ingredients are acai berry, dates, cashews, pecans, coconut, lemon juice and banana. 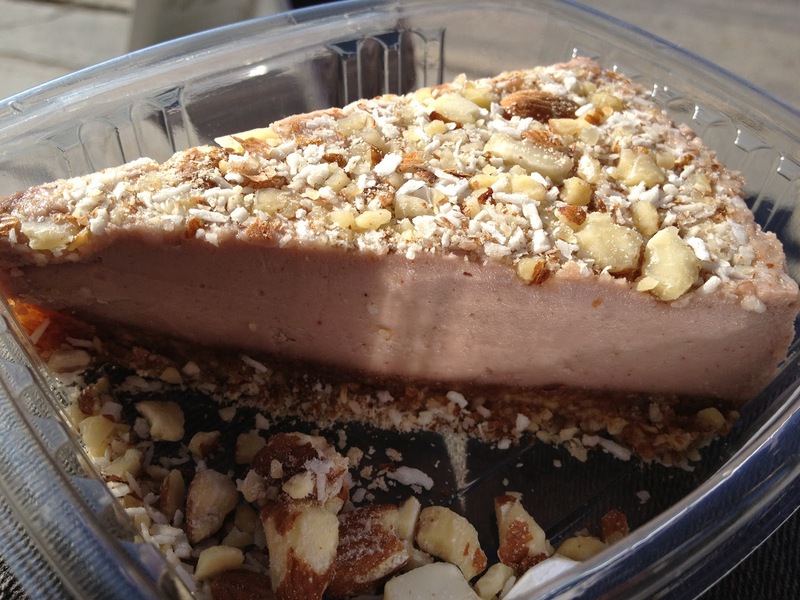 I will be making a similar recipe for a vegan dessert pie very soon- I hope it comes out even half as delicious! The smoothie was interesting! It was really good but it took a little getting used to. 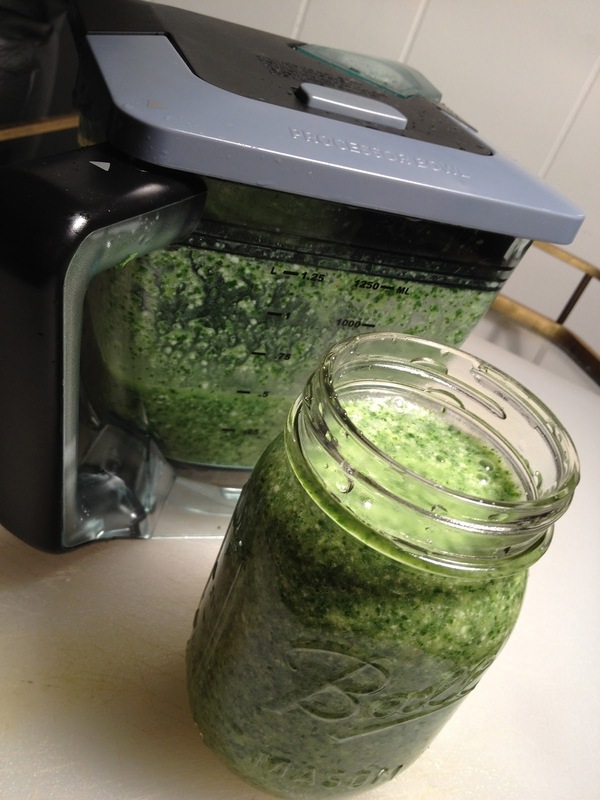 It was made with kale, coconut water, coconut meat, spirulina, cacao and a date. I liked it! But then here comes that inner saying… I can make this for 1/4 the price right? Umm- so wrong! What seemed like a simple smoothie- was actually quite tedious, not that attractive and hard to palate as well! But I tried lol! My attempt at this consisted of kale, coconut water, coconut and banana! 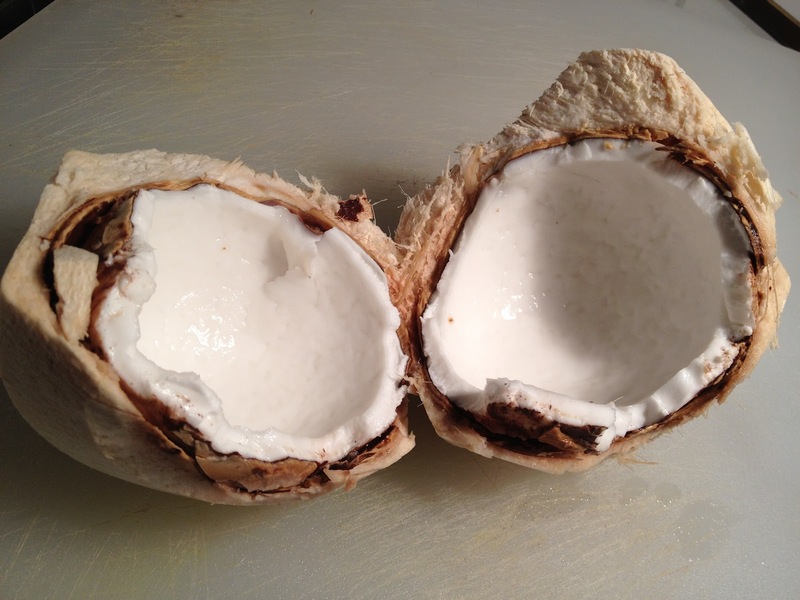 Simple.. except I have never cracked open a coconut. Actually, I still haven’t. The first time my nephew did it with a hammer and a screwdriver lol, this time my friend did it with a huge chopping knife- all other times, it was on the side of a road with a skilled coconut craftsperson and a machete! Ok so we have the coconut meat and water now- put it in the NINJA with a big bunch of kale and a banana. I hit the blending options and away it went mixing! The only thing is- it wasn’t SMOOTH as in “smoothie”! I have made smoothies before with greens but I think it was spinach that I used. 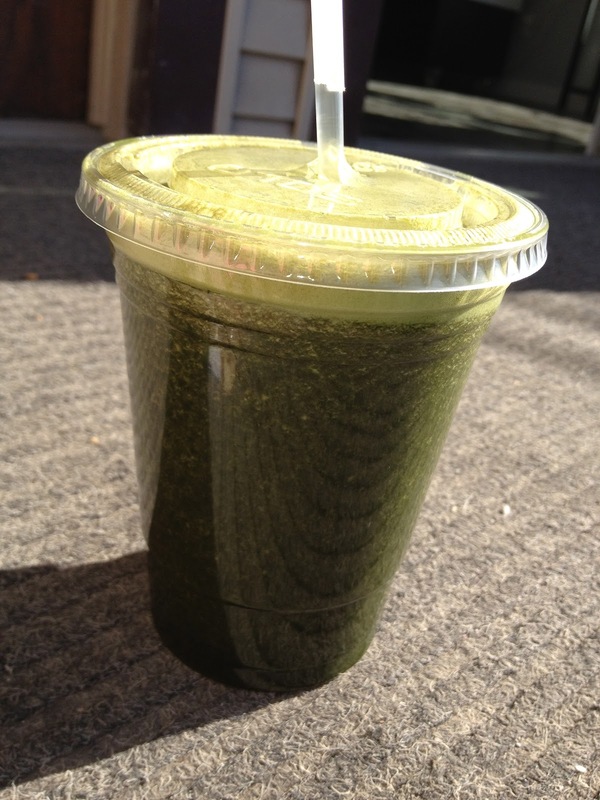 This kale smoothie today seemed to still have particles of kale visible. Yes, it tasted really good, but the texture made it a bit difficult to drink! The lesson learned today- is to TRUST THE EXPERTS… I can now further appreciate the creative smoothies made for me in these wonderful juice bars!